Bonanza Fly Bait- Bonanza Fly Bait is a fast-acting, ready-to-Use granular fly bait for the control of house flies. Bonanza fly bait can be used as scatter bait, paint-on(mixed with water), or in bait stations. It has a specifically formulated mixture of attractants to attract flies. These fly bait contains Bitrex to deter ingestion by non-target animals, pets and children. 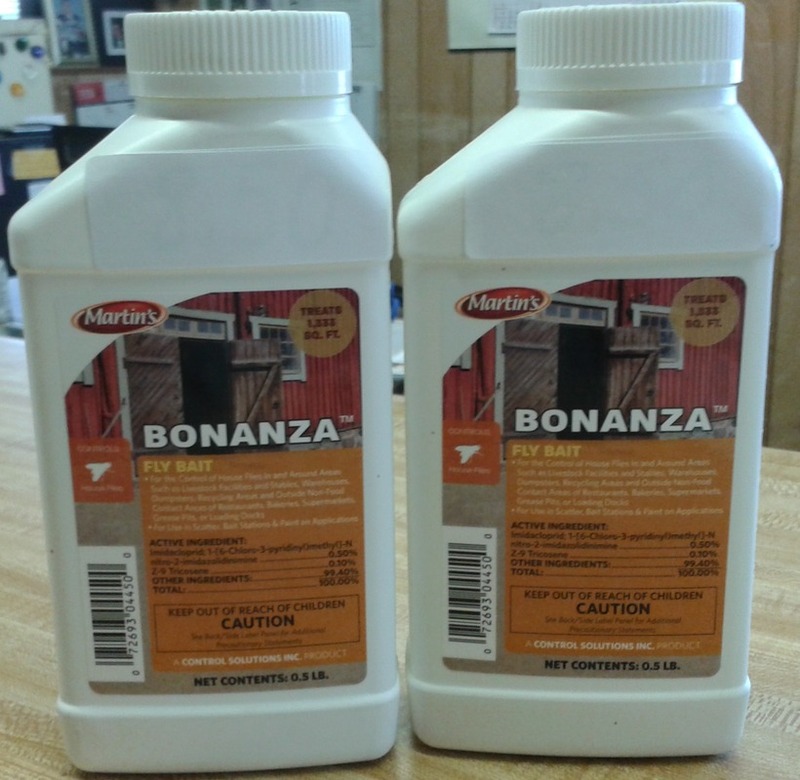 Martins Bonanza Fly Bait is for the Control of House Flies In and Around Areas Such as Livestock Facilities and Stables, Warehouses, Dumpsters, Recycling Areas, and Outside Non-Food Contact Areas of Restaurants, Bakeries, Supermarkets, Grease Pits, or Loading Docks.